If you spend a lot of time in the garden, it may not be long before you run into one of the many kinds of garden snakes. Where you live will depend on the types of garden snakes you see, but since there are some common garden snakes that tend to appear in a wide variety of places throughout North America, we’re going to do a series on garden snakes. Today we are going to shed the myths about the garter snake specifically. All garter snakes, no matter what their base color is, have a side and a spinal stripe. Just because they aren’t poisonous does not mean they won’t bite if they feel threatened. 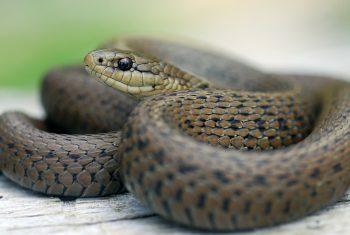 The good news is that if a garter snake does strike, it can’t do much more damage than possibly scratching the skin. Garter snakes are found throughout North America, as far north as Alaska. Those that live near water have adapted into fantastic swimmers. During the winter in colder areas, garter snakes will hibernate in groups. 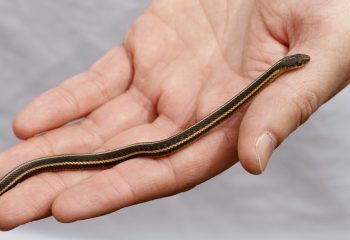 This is the time of year when people will collect groups of garter snakes, and then sell them to others as house pets. You will most commonly encounter a garter snake in a protected spot, such as underneath a rock, near your home’s foundation, or in rock walls. This is because garter snakes like to live in a den. Just before mating season, garter snakes will travel miles to find communal dens. Garter snakes are carnivores. They will eat anything they can catch and overwhelm. 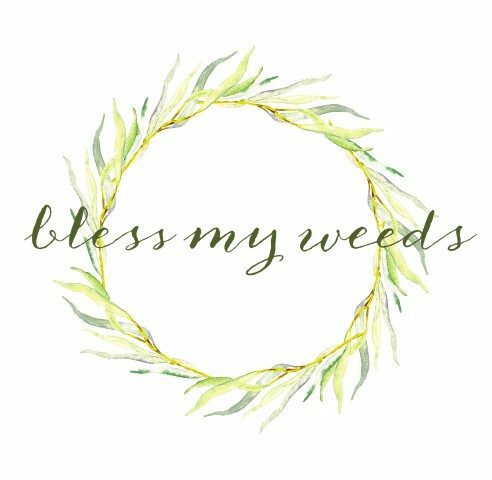 This usually means things like mice, frogs, birds, slugs, snails, and grasshoppers. 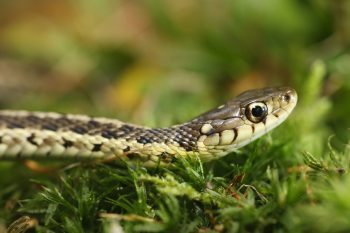 The venom of a garter snake, though once again not poisonous to humans, is poisonous to these small birds, insects and mammals. The best way to deal with a garter snake is to leave it alone. And if it’s helping to reduce the rodent population in your area, that’s not a bad thing! Planting Strawberries: Never Make These Mistakes Again!